JULY 15 – General Exhibits (excluding Livestock) must be pre-registered and postmarked by July 15. There is a limit of one (1) entry per exhibit class. The Exhibit Registration and Entry Form is in the Fair Book and on the fair website. SUNDAY, 1-4 PM – Exhibits will be received. No Baked Goods. MONDAY, 10 AM-4 PM – Exhibits will be received, including Baked Goods. MONDAY, 4 PM – The Main Exhibit Building will be closed to all exhibitors and the public. Only fair officers, department superintendents and their assistants, judges and State officials with proper identity will be allowed to enter the building. SUNDAY, 1-3 PM – Removal of Exhibits. The Fair Association assumes no responsibility for exhibits not removed from fairgrounds. The Fair Association reserves the right to amend or add to these rules and regulations at any time. FAIRGROUND CURFEW — All gates except the main gate will be closed between 12:30 and 5:00 AM daily. A security guard will be posted allowing traffic out only, except designated Fair officials. NSF (Not Sufficient Funds) Checks presented to the Fair Association will be assessed a $50 Fee. All exhibitors agree to be bound by the rules and regulations of the Union County West End Fair Association. All entries will be made according to the classifications listed in the premium book and on the fair website. All entries must be grown, produced, or made since the last fair. All entries must be made in the name of the grower, maker or bona fide owner. Any exhibitor in any department may be required to prove ability to reproduce entry in the presence of a qualified person. All exhibits accepted for premiums require a properly marked entry tag. Exhibitors are responsible to properly name the exhibits he/she is entering. Exhibitors are required to give personal attention to their property during the fair. Exhibitors are responsible for the removal of their exhibits at the close of the fair. Any item improperly entered will be disqualified and will not be judged. The judge shall mark the correct name on the tag for the benefit of the exhibitor. If Department Superintendent believes an entry or exhibit was shown in previous years, the item may be refused. Superintendents reserve the right to refuse any entry and may bar from competition animals, vegetables, flowers, and manufactured articles of inferior quality and those not possessing sufficient merit to warrant recognition. The Fair Association may, at any time, order the removal of an exhibit or part of exhibit in bad condition and/or unfit to show. Food products may not be chemically altered in such a way that food becomes poisonous and/or unfit for human consumption. The Fair Association reserves the right to determine how many entries they will accept from one exhibitor and/or family if facilities are not available to handle total entries, rather than closing any department when space has been filled. No exhibitor will be allowed to duplicate entries of a single variety of any kind of grain, vegetable, annual or perennial specimen flowers or plants or any other classes listed, excluding some classes of livestock. No imported, manufactured or commercial products may be exhibited. Exhibitors removing entries before 1:00 PM Sunday will forfeit all premiums. No live animal exhibits are permitted in the Exhibit Building. Failure to comply with Fair Association rules will result in premium forfeiture. The decision of the judges shall be final in cases except where mistakes, fraud, misrepresentation or collusion, not discovered at the time of award, is proved. In such cases, the Department Superintendent, and/or Officers/Board of Directors of the Fair, or such referee as may appointed, shall determine the validity of said claim. All protests regarding judging must be in writing, and must plainly state the cause of the complaint or appeal. Such protests must be filed at the Fair office within 48 hours of the occurrence. In cases where there is no competition, judges may give an award such as they deem the exhibit is worthy. In cases where there are fewer entries in any class than the number of premiums offered, judges may give an award such as they deem the exhibit is worthy. – 4H-FFA Members MUST help at the Tuesday cleanup after the fair to receive premium checks. If you are not available to help on Tuesday because of a 4-H/FFA event your check will be mailed after the Tuesday night cleanup. – All other exhibitors’ premium checks will be distributed at pickup in the Exhibit Building. Checks must be cashed within 30 days of check date. No checks will be reissued. Premiums may be given for meritorious exhibits. In the event that receipts of the Fair are insufficient to meet all expenses and to pay premiums in full, the Fair Association reserves the right to prorate the funds available for premiums among the respective winners. Payments made on a pro-rata share, though less than the amount published, shall constitute a full and complete discharge to any premium obligation. All articles on exhibition must be respected as private property. Reasonable care will be taken to protect all exhibits on display from injury and damage. Person(s) caught in the act of stealing exhibits or abusing/injuring livestock will be dealt with according to the law. 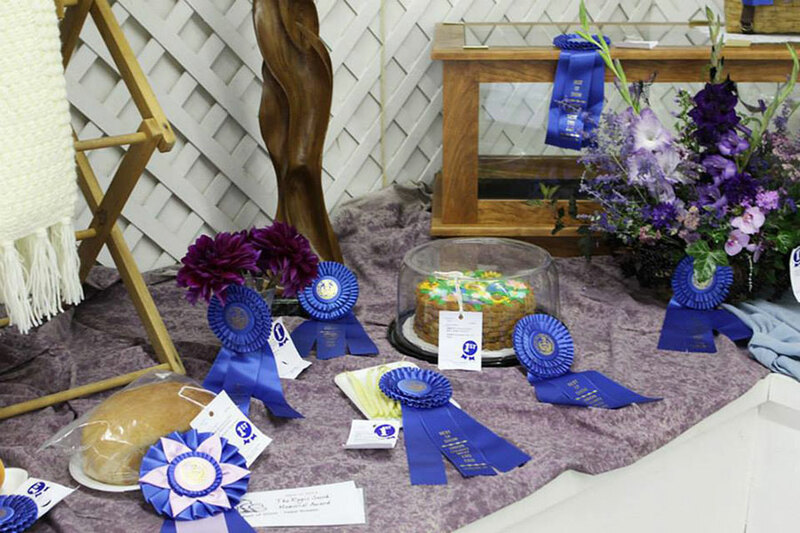 At the exhibitor’s request, stolen or destroyed award ribbons may be duplicated free of charge at the close of the fair, if supplies are available. The Fair Association is not, in any way, to be held responsible for accidents, loss or damage by water, fire, theft, or otherwise, whatever the cause or extent of the damage or loss. No disorderly conduct of any kind will be permitted on the fairgrounds. Concessioners are liable and will be held to strict account for any violations of the law and have no claims on the Fair Association for refund of fees paid. Use of alcoholic beverages of any kind is forbidden and any concessioners, exhibitors, contestants or fair patrons consuming same publicly will be removed from fairgrounds. Smoking is prohibited in all fair buildings, including livestock barns and the show arena. Riding of bicycles, motorcycles, motor scooters, etc. is not permitted. For the safety and comfort of all visitors, animals—other than those being exhibited—are not permitted on the fairgrounds, with the exception of service dogs. No unauthorized solicitors permitted on fairgrounds. Autos and trucks are permitted on midway to load and unload only. No vehicles are permitted on the midway after 4 PM, Monday through Friday and all day Saturday. Any fair officer, director or superintendent will have the right to evict anyone who violates fair rules. All persons who enter the fairground and use the facilities of said grounds for the purpose of exhibiting, displaying, demonstrating, seeing the exhibits, competing in any contests, being entertained by the attractions, or in any other manner participating in the fair, do so at their own risk. The Fair Association will not be liable for any accident, personal injury or property damage suffered by such persons irrespective of how such injury or damage occurs. The Fair Association will not intentionally show or permit to be shown any dangerous attraction on the fairgrounds. However, the showing of certain attractions require that spectators be reasonably careful in their conduct and be reasonably watchful of the conduct of children. Although the Fair Association will take every precaution, it will not be responsible for any personal injury or property damage suffered by reason of any attraction shown or exhibited during the fair. The Fair Association assumes no responsibility in case of loss or damage to stock or other exhibits from any cause, and upon this conduct their business or exhibits that the public shall not be liable for injury. In case anyone is injured the privilege, renter or exhibitors shall assume all responsibility, therefore, and shall hold blameless and indemnify the Fair Association against any legal proceedings and any and all expenses occasioned by such accident or injury. The Fair Association and its officers or agents will not be responsible for any incurred expenses.